​The North Texas Caledonian Pipes and Drums is an award-winning competition bagpipe and drum band. It is a non-profit organization whose mission is to promote the music and culture of Scotland. 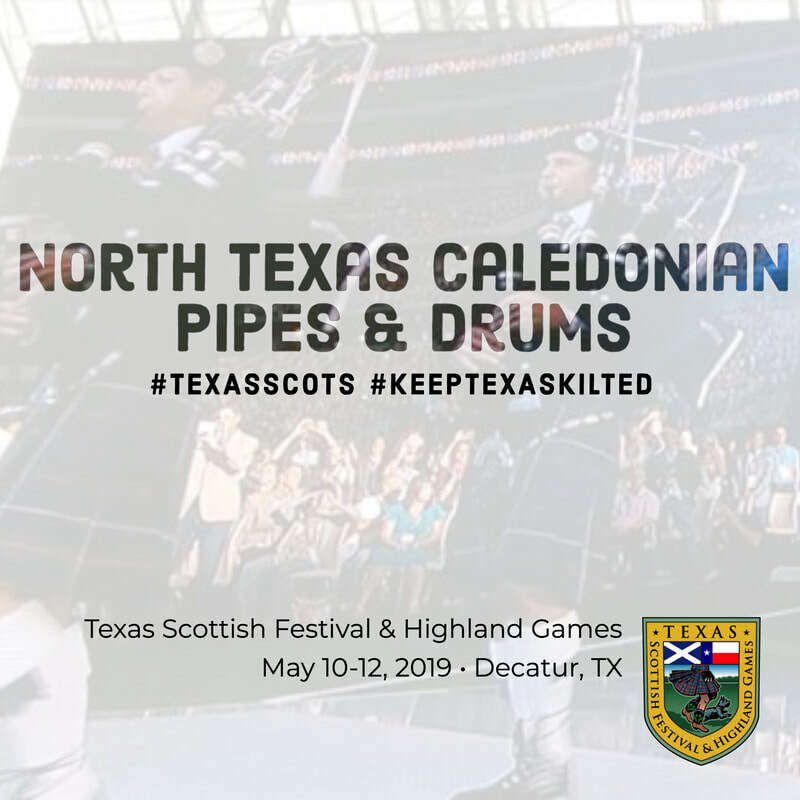 The band can be heard at festivals and other performances around North Texas as well as at highland games across the country where they proudly represent the North of Texas area. The NTCPD has an ongoing student program for pipers and drummers, and encourages those interested in lessons or for auditioning for the band to contact us at pipes@ntcpd.com or drums@ntcpd.com. The NTCPD is also available for hire for weddings, funerals, company functions, or any occasion (solo piper, mini band, full band). Please contact us at manager@ntcpd.com or call us at (NTC)PD8-5840. For more information, please visit our stand in the Automobile Building, or online at www.ntcpd.com and facebook.com/ntcpd. Our recordings are available through iTunes and cdbaby.com.